Borders necessarily are a core and constitutive element of international order but with an element of inherent dynamism. International relations literature has thus given way to new approaches to understanding its evolving character, from one that is a purely geographic line to that of zone to a more encompassing interdisciplinary concept. While the basic understanding of borders is that of a barrier, the narrative surrounding borders are increasingly widening to include a functional space moving far beyond the physical territorial marker it provides for the modern nation states. Depending upon the nature of the polity, borders assume varying salience and relevance. Borders are perceived as rigid lines where the state is the most important subject, and borders function as the line for the inviolability of its sovereignty and national interest, while others develop broader utility of them as gateway to international markets and greater outreach beyond its own boundaries. Borders while remaining connected with territorial and sovereignty identifications actually include a much broader functional scope as zones of cooperation. As is widely seen the lives and livelihood of the communities on the borders often seem to share an overlapping character and ground experience that is relatively similar if not in sync with the ‘other’ across the borders. 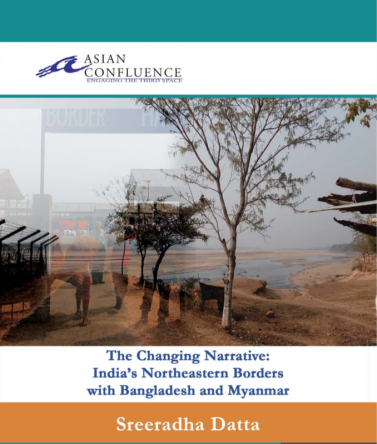 Indeed in the South Asian context and specially in India, the border communities have cross border linkages ethnic and often at variance with the mainland. Borders and nation states have an intrinsic relationship; both mirror the nature and function of each other. Over the years borders while being the cornerstone in the understanding of nation-state have also periodically evolved reflecting both the nature of the government and society within the structured context. Given the evolving and complex nature of borders, it has been a focus of study for an array of scholars belonging to the discipline of international relations, sociologists, anthropologist and of course historians. The crucial role of borderland communities have been identified as organized polities within the larger institutional architecture of their state of belonging and have underlined the importance of their local culture.1 Political geographers Anssi Paasi and David Newman contended that borders may be institutions but their very functions may be challenged. Economists generally disagree with all other social scientists, pointing to the limiting and restrictive role that borders play in trade and inflows of goods and people.